What is A1 Usage? Do I need Planning Permission to change to A1 Usage? Here at Drawing and Planning our team of Planning Consultants have a successful history of helping our commercial clients gain the Planning Permission they require for change of usage planning consent with their local council. Our team are here to help you with any query you may have regarding change of use to or from A1 Use class. Contact us today for a FREE consultation with one of our planning experts. Should you require a Change of Use Application, our unique, all inclusive planning package makes us best suited to help you gain Change of use planning permission first time! (j) where the sale, display or service is to visiting members of the public. 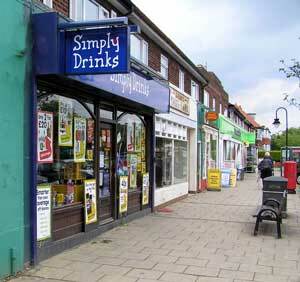 A Shop can fall within 2 or more categories depending on the intended use of the establishment. For example, coffee shops usually fall within use classes A1 or A3, or a mixture of both. therefore it is always necessary to establish what the primary use of the outlet will be. In the case of coffee shops, the primary use is generally determined by the split between takeaway sales and sales for consumption on the premises. So if the primary use will be for takeaway sales of goods, such as coffee, tea and cold food, the use will fall within class A1, with permission for any ancillary uses to the main A1 class. Hot food takeaways fall within use class A5, but ancillary sales of hot food will still be permitted within class A1. Seating can also be provided for limited consumption on the premises. However, takeaway sales of drinks and cold food must remain the dominant use to ensure there is no breach of planning law. On the other hand, if the primary use of the premises will be for the sale of food or drinks to be consumed on the premises, then the proposed use will fall within class A3 and Change of Use Planning permission will be required. In some cases, it might not be possible to determine a primary use. The takeaway sales may be broadly equal to the sales for consumption on the premises. Alternatively, the dominant use may fluctuate over time. This results in a mixed class A1 and A3 use, which will require planning permission. A small selection of The Change of Use Planning Permission we have recently secured for our clients. Our client sought to change an old corner shop unit into an elegant Restaurant. With this type of application the extraction of fumes and hours of operation are often the main issues. As part of the application we actively negotiated the planning conditions to satisfy the needs of our client and secured the change of use. The main issues in this case were the increase in traffic and lack of parking. As part of the application we compiled a thorough Transport Statement to prove that the change of use would not have a detrimental impact to local parking conditions. The key challenges with such application are noise, extraction and potential for anti-social behaviour. As part of our fixed price planning package we engaged with the local community to establish suitable planning conditions to ease through the application. Increases in trip generation are often a concern here, as well as issues to do with plant and ventilation. We proposed an innovative scheme to allay the planning concerns and successfully secured the Change of Use for our client. Local planning Authorities are particularly stringent when an application involves the Loss of a family dwelling. Such applications are carefully assessed and we can often argue that the proposed use is ancillary to the primary use of the dwelling. This application was to convert a large retail unit to a Nursery. The increases in noise and traffic are often a concern, as well as the economic impact of losing retail premises. We presented a comprehensive application which refuted all possible reasons for rejection while also providing evidence for the need of the new nursery.